Sean Smith is a Flight Nurse-Paramedic who has practiced and taught Critical Care, Aero-Medical Transport, and Emergency Medicine across the age spectrum, from neonates to geriatrics, for more than 15 years. He is passionate about underserved populations, especially pediatrics. He holds degrees in Molecular Biology, Business Administration, and Nursing, and is currently pursuing a Masters in Forensic Science. 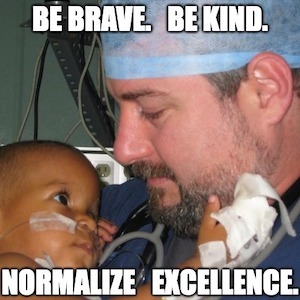 Career highlights include serving eight years in the US Navy, numerous author / co-author credits, routinely lecturing at national/international conferences, 40+ medical missions, providing patient care and teaching in the “Hot Zone” during the 2014 Ebola outbreak, as well as providing PRN medical support to the NASA Space Shuttle Program for six years. He is also currently serving on the Boards for Claire’s Place Foundation, a pediatric cystic fibrosis charity, and the Look At Us Craniofacial Alliance for children with congenital facial differences. From first response to family closure, join us as we explore the forensic science of identifying the fallen. Disaster Victim Identification (DVI) encompasses many disciplines, including anthropology, odontology, radiology, molecular biology, and more. We will briefly cover the evolution and science of victim identification, psychosocial support for families and first responders, Interpol procedures, and your potential roles and responsibilities with respect to forensic science and mass fatalities.